We painted one steamy morning on a back road in Hocking valley. This old jeep road was nearly taken back by the undergrowth. With the sweat running down my back and the insects biting, I completed the painting in a short time and then escaped to the car. 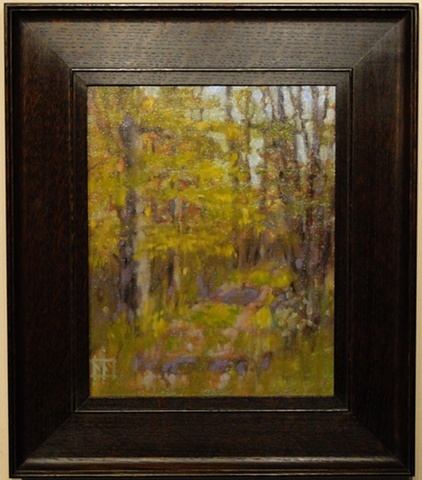 It is framed in 2 1/2" quartersawn oak.